I often get questions about alerts. For example. I want a notification when the state of this work item changes. Team Foundation Server makes intensive use of events. Many actions trigger an event on the Team Foundation Server and the good thing about this is that you can subscribe to these events. When subscribed to an event you can do two things. You either send an email or you call a SOAP webservice. 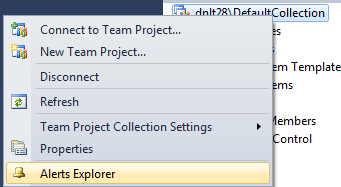 Especially calling a Webservice gives you a ton of possibilities to extend Team Foundation Server to your own needs. You can find all about this in this article (VS 2008 but still applies). You can subscribe to events in different manners. You can use the commandline tool BISSUBSCRIBE. 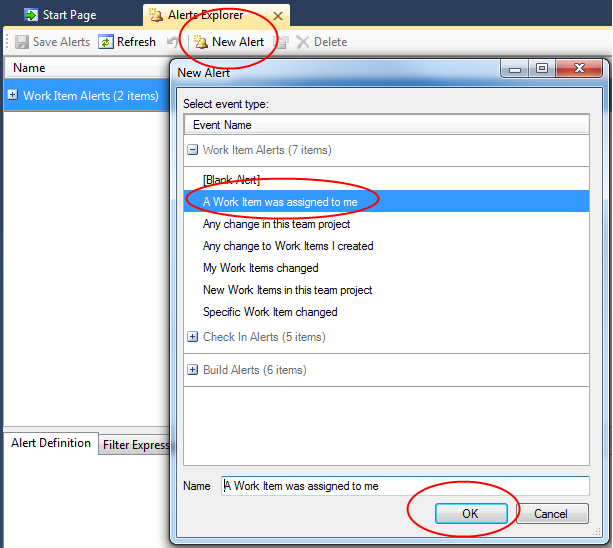 You can also use the default project alert dialog. 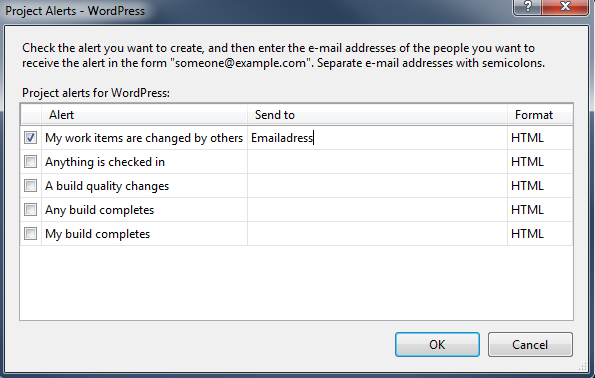 This defines some default scenarios on which you can subscribe to receive an email. However, the most powerful way to subscribe and have optimal control is to use the Alerts Explorer that is part of the powertools. On Collection level click right and choose Alerts Explorer. In the alerts explorer, you can easily set up alerts based on a query. After that you can further modify you filters and delivery methods.